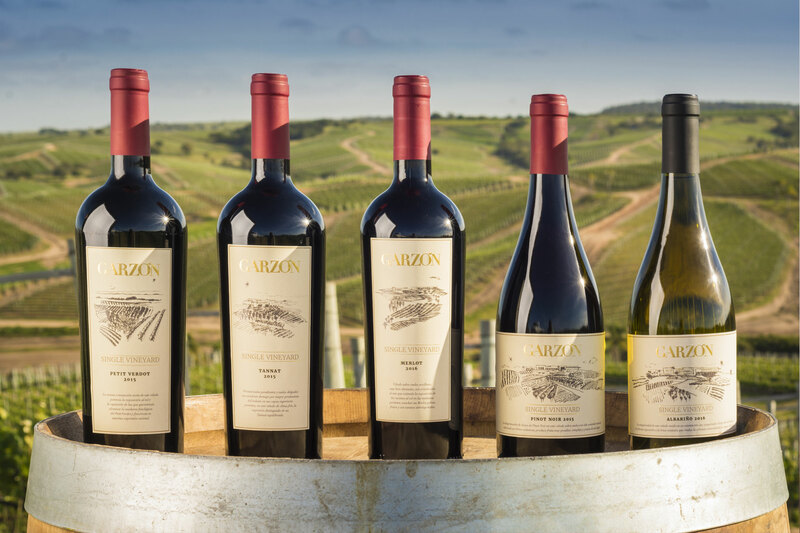 This is a first for us, and a celebration of at last stocking the legendary Uruguayan vineyard Garzon, who are thought of as by far and away Uruguay’s finest wine estate, but also won New World Winery of the Year last year, so this reputation goes far beyond their country of origin. We welcome German Bruzzone the winemaker from Garzon to take us through their fantastic wines. It has always baffled me that Argentina and Chile get so much publicity for their wines whereas Uruguay seems to fly under the radar for most wine drinkers, I think this is partially due to the marketing budgets of the various countries compared to Uruguay, however I think this is potentially a good thing for consumers here as I believe Uruguay and in particular Garzon offer such incredible value for money, with the quality of the wines second-to-none. Their maritime climate also allows them to produce some fantastic alternative varietals such as Albarino and Viognier, as well as their national Variety Tannat, which I believe is a better steak wine than Malbec. Don’t miss out on this tasting as Uruguayan producers don’t venture to the UK too often so this may be one of your only opportunities for a while to try these amazing wines.